47 Bus stops right in front. Acadia brings the best of New Orleans cajun / creole food, cocktails, beer, and music to Philly. Our Vietnamese - Cajun (Viet-Cajun) crab & seafood boil fuzes Louisiana with Vietnam. 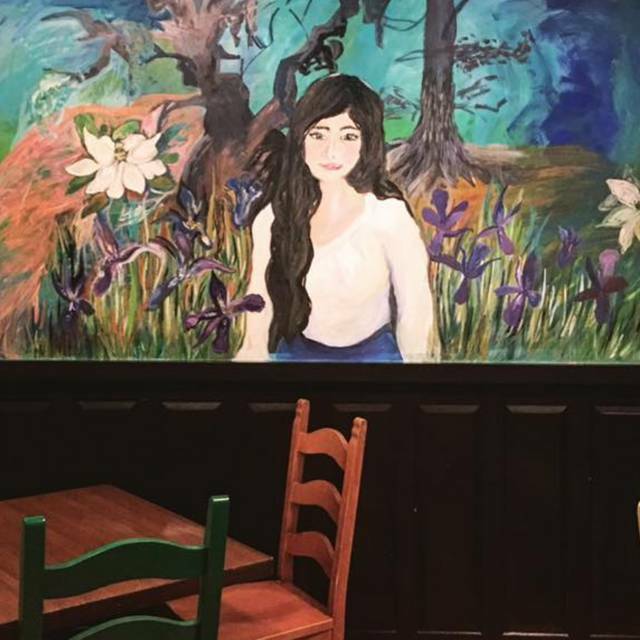 As Best of Philadelphia, Most Authentic Cajun/Creole Restaurant, Acadia serves up gumbo, chargrilled oysters, étouffée, jambalaya, red beans, po-boys, bread pudding, & beignets. The cocktail list includes classics such as the Sazerac, French 75, & Hurricanes. We also have the best selection of Abita and NOLA Brewing beers in Philly! Brunch at Acadia features traditional New Orleans favorites such as Shrimp & Grits, Grillades, & Acadian Poutine. We have a great kids menu, & several vegetarian, vegan, and gluten free options. On Saturday nights, & special events, you can listen to New Orleans jazz tunes from live bands and, on game days, New Orleans Saints fans can catch the game on a big screen TV. Happy Hours are Tuesday – Friday from 5-8 w/ $5 food, beer, & wine. $5 Happy Hour until 8PM! Enjoy $5 food and drink specials from 5-8 Tuesday-Friday! We ate outside, which was just a few tables out on the curb, but a personal preference, so was enjoyable. We ordered the boil bag and very much enjoyed it. The beignets were excellent as well, but very dense. The hush puppies were dense and not sure I'd order them again (although I did like the dipping sauce). I don't eat Cajun normally so I can't compare flavor for flavor to other places but I do order boil platters often and this was comparable to many others. Very seasoned and a good mix of seafood. I have been to Acadia a number of times and have enjoyed most everything they have to offer. They have a robust Happy Hour that runs from 5-8pm Tue - Fri with $5 food and $5 drinks. Until $8pm !! Incredible deal for late working folks. My favorite cocktail is Le Petit Mort which has a rosemary infused vodka, gin, lemon juice, rosemary simple syrup and grapefruit juice, shaken and then strained into a glass with a blow-torch seared spear of fresh rosemary (such a dramatic sight for the whole bar to see). I want to try other cocktails, but always am drawn to Let Petit Mort. The Hurricane is also delicious. They have fresh beers on tap flown in direct from NOLA, so Acadia is the only place in Philly that serves Abita Amber Lager. Red and White wines are also on tap and served by the glass, 1/2 carafe or full carafe. I love the Viet-Cajun Boil which is super flavorful as is, while my husband likes Burn Yo' House Down style, which is super hot. 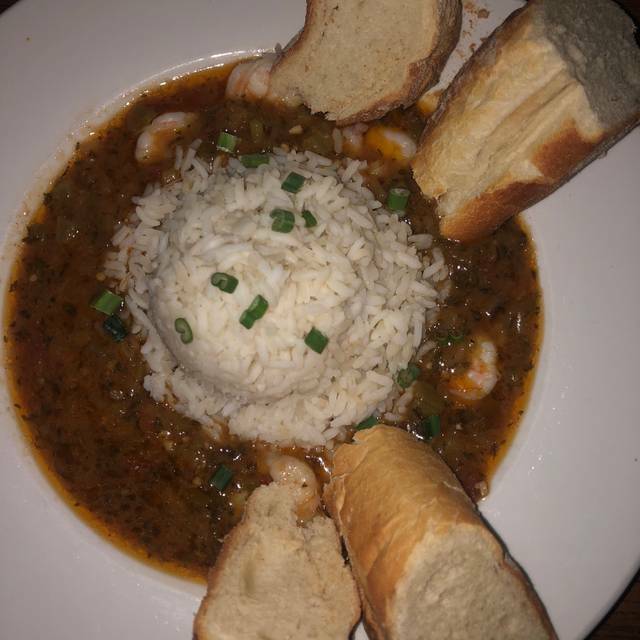 The shrimp Étouffée has deep flavors and the Creole Jambalaya is outstanding. I also enjoyed the Blackened Catfish with collard greens and mashed potatoes one evening. 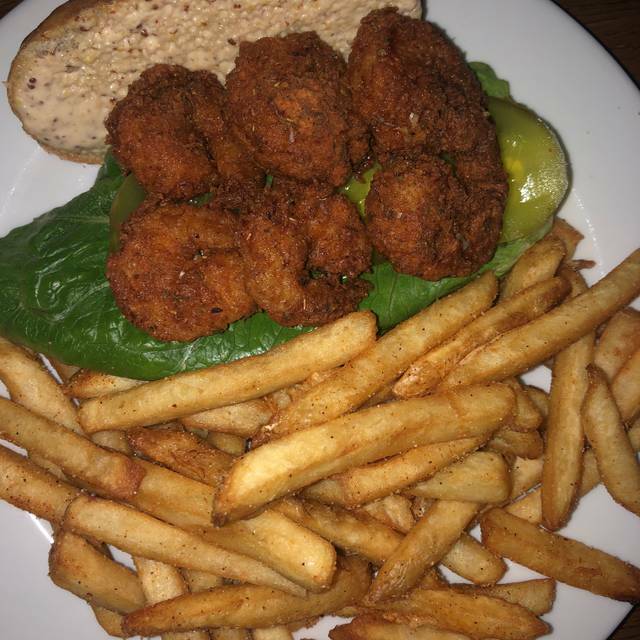 The remoulade sauce on the Shrimp Po Boy is classic tasty. While the roll is about 6", it was plenty for me as it is served with seasoned fries. The chicken wings are the best I've ever had, with deep, soulful Cajun flavors. I just went for brunch this past weekend and was not disappointed. Bottomless Mimosas with whatever juice you prefer for $18. All the classic lunch and dinner Acadia dishes and then some great new breakfast options. The beignets are a winner and they also serve chicory coffee. Did I mention that there is Comedy Night on Wednesdays with no cover and you will find live music regularly? They also show Saints games on Sundays. This is a great little spot with beautiful decor and furnishings and very caring staff. Always a diverse crowd and always a great experience. Like a trip to New Orleans without the airfare. Acadia was wonderful! The waiter was fantastic and the food and drinks were as well. Being a southerner here, it was great to find a place that had the food I grew up on. I highly encourage anyone to visit. Great food, great service and friendly staff. Nikki and Brian provided us with outstanding customer service. The food and service were excellent. Do yourself a favor and order the wings. The Milk Punch cocktail was ideal because I found the meal super spicy! To start we shared the wings (5/8) which were good, for the entree I had the shrimp étouffée which was too spicy I couldn't eat it. Service by Sean is amazing as always. I’ve been here most sundays for football and the boil! Went for dinner. Server greeted us and demanded we sit at the bar for faster service bc they were short staffed. Bartender was in training, so you can’t blame him for his lack of knowledge. But we ordered food and after waiting 40 min and only being served one drink, we found out our food was not even ordered. So disappointing and we will never go back. I recommend not even giving this place a chance. One of the worst service experiences ever. My girlfriend and I had reservations for 7 last Saturday night. We were on time. The place was unusually slow, should have been a clue! We were seated a few minutes after standing up front. We ordered drinks, an appetizer and our meals. My beer came fairly quickly. Next came a side. Who brings a side before drinks, appetizers, and the meal?!? Took 15 minutes to get water. 40 minutes in to it, my girlfriend still didn’t have her sprite nor her bar drink, and the only food we received was one side dish. Had dinner at Acadia. It was New Years Eve, and there was a great Mardi Gras themed event going on, but we weren’t going for the celebration- just the food. The staff were very helpful and attentive. They seated us right away and told us about all the menu offerings for the night. The food was so delicious! We had the chicken wings and ordered a second order because they were so good we couldn’t get enough. We also had shrimp etouffe which was very well seasoned with generous portions of shrimp. The goat cheese appetiser was also really yummy. The prices are extremely reasonable for the quality of food. The vibe was great with friendly staff ready to feed you and chat with you!! Great experience! Amazing service! Definitely going back. Crab sauce is right on the money! We went for brunch as a couple. First they did not write down the order for one of us. By the time that was fixed, the other was done with the meal. Okay, that could happen but still not good. Then, they ran out of champagne for the unlimited Mimosas one of us had ordered. Keep in mind that the place was empty with 6 guests in the building. Only two guests in the restaurant had ordered Mimosas to our knowledge. How can you have a brunch menu and run out of champagne at 10:30 - 11:00 AM on a Sunday morning with only 3 tables occupied? Overall a bad experience and cannot recommend. Brought out of town guests here for brunch. I thought we'd try a new place was hoping an Acadian menu would impress. They were out of a number of things; about 1/2 the food menu and no tomato juice for bloody marys. Rather than tell us up front we each had to order something, then be told it wasnt available. Yes, we should have left, but we'd all done a 1/2 marathon and were tired and hungry and its hard to find a place for brunch in that neighborhood that doesn't have a long wait. We ultimately did leave still hungry because the menu was so sparse. The service was really slow even though there was only one other table. The server did not know the items on the menu -- my friend had to repeatedly order Cheerwine, a southern cherry-flavored soda which is on the menu. When my friend said 'its a cherry flavored soda' the server asked if she wanted Sprite or ginger ale -- I guess she thought she was asking for a mixed drink even though she kept pointing to it on the menu. This went back and forth and the server eventually said 'I'll have to see if we have that.' She'd now left our table mid-order for the 3rd or 4th time. Once I finally got my bottomless mimosa, it sat empty after the first pour. The beignet was like an adequate muffin. The owner came out and was friendly but made some excuses as to why they were out of so many things. She did not seem to have a good relationship with the staff. No one seemed to know what their tasks were; the operation seemed mismanaged. Great food and drinks. A real hidden gem in South Philly. First time at Acadia, can’t wait to go back. Wonderful and interesting food and drinks. The bartender was engaging and knowledgeable. I took my friend to Acadia for his birthday. I saw it featured on FYI Philly earlier this year. We both have been to New Orleans so the grilled oysters on he menu peeked our curiosity. We both agreed they did not disappoint. Delicious. We enjoyed our meals and the beignets were very, very good- just a little heavy on yhebpowered sugar. I will be returning. The servers are really friendly! This place has such a NO feel! Defiantly somewhere I would go back to. Bottomless mimosas have various flavors and they play the Saints game on Sundays.